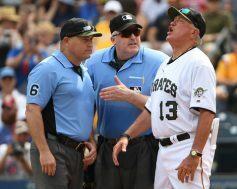 There has been a lot of turmoil surrounding the Pittsburgh Pirates as of late from fans and media. A long losing streak at home tends to do that. A long road trip was hopefully going to be a time for the players and coaches to reset and turn things around. People were looking up after a win last night, and they were hoping a series win was in order tonight. 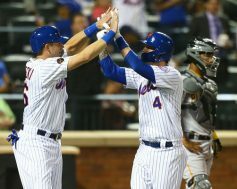 That all changed late in the game when the New York Mets pulled out a 4-3 win in ten innings. Tonight’s matchup at Citi Field featured two teams struggling mightily. The Pittsburgh Pirates were losers of five straight games, including a horrible series against the Arizona Diamondbacks at PNC Park. The New York Mets were losers of six straight entering play tonight. Tonight, the Pirates jumped out to an early lead, nearly blew it in the seventh inning, but held on for a much-needed 6-4 victory. 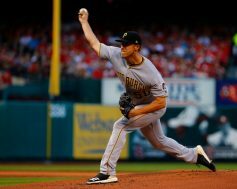 Chad Kuhl was supposed to start the finale of the Pittsburgh Pirates series with the Milwaukee Brewers last night. When that game was postponed because of rain, Kuhl was then slated to start game one of a four game series with the Arizona Diamondbacks tonight. Kuhl must have not studied the lineup very well, because Arizona hit him hard and often in an 9-3 victory over Pittsburgh. Kuhl looked like he was throwing batting practice to the Diamondbacks during his two innings of work. It all started in the first inning when Daniel Descalso hit a sac fly to score John Jay. Descalso would cross home plate on a Ketel Marte homer to right. In the second inning Jay would bring in two runs with a double to right. He then came in to score on a Paul Goldschmidt single to right center. 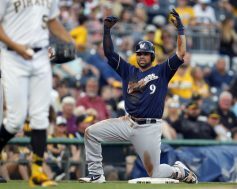 After a 1-0 victory last night, one would have hoped that the Pittsburgh Pirates offense could have a big night tonight against the Milwaukee Brewers. Pittsburgh did not have many opportunities tonight against Milwaukee starter Freddy Peralta but did against their bullpen. In the end they could not collect that one big hit and fell to the Brewers by the final of 3-2. It was exactly one month ago that the Pittsburgh Pirates season took an ugly turn. Pittsburgh would lose to the San Diego Padres that night and then go on to lose 17 of their next 25 games. Skids like that can definitely take a toll on team, but with over three months remaining in the season all hope has not been lost. After ending their road trip on Wednesday with a win the Pirates looked to build on that tonight in game one of a ten game homestand. They would come back to PNC Park to open a three-game series with the Cincinnati Reds. Cincinnati may be the only Central Division team looking up at the Buccos at the moment, but they always play them tough. That would be no different tonight, as after a back and forth game Pittsburgh would prevail with a 3-2 victory. The Pittsburgh Pirates are reeling. Today, after a 3-1 loss to the Chicago Cubs at Wrigley Field, the Bucs have lost 15 of their last 20 games and are a game under .500. 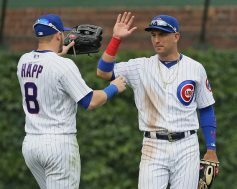 The Cubs, meanwhile, are a season high 12 games over .500, having won 10 of their last 12 games, while outscoring their opponents 60-32 in that span. Mike Montgomery was outstanding on the mound for Chicago, giving up one run on seven hits in six innings of work. Ian Happ made a trio of fantastic catches, including one to end the game, helping Pedro Strop earn his first save of the season. Chad Kuhl fell to 4-4 on the season after giving up three runs on eight hits in 5.1 innings. He struck out six batters while walking two, with his ERA sitting at 3.95 on the season. Entering this afternoon’s game against the Chicago Cubs at PNC Park, the Pittsburgh Pirates had lost three straight series, two against N.L. Central opponents. There have been many factors that have contributed to the team’s struggles, but at the top of the list has certainly been the bullpen. 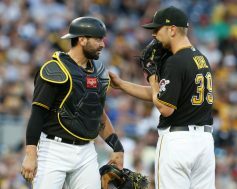 Today, the bullpen woes continued, turning a close game into a blowout, as the Pirates lost to the Cubs by a 7-0 score. Baseball is a long and tedious season filled with highs and lows. It can be tough for fans not to take those highs and lows to the extreme, which is exactly what Pittsburgh Pirates fans have done during this four-game losing streak. 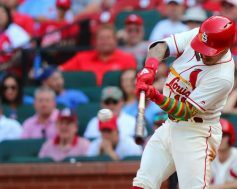 It would take some free baseball to decide a winner tonight, and in the end the Cincinnati Reds would leave the ballpark with another mark in the loss column. 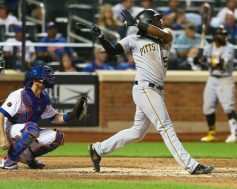 Pittsburgh jumped out to an early lead when Francisco Cervelli hit a two-run home run to deep left field in the first inning. That lead would grow by one in the fifth when Corey Dickerson hit an RBI single to center field that drove in Josh Harrison. Chad Kuhl would even get in on the scoring in the sixth when a hard bunt got past the pitcher’s mound to bring in Austin Meadows.